Heartstart Farnham Lions was formed seven years ago, with the intention of teaching emergency life support skills to as many Farnham residents as possible. It came about after founding member Keith Aston suffered a sudden cardiac arrest in the street in September 2009. Many people gathered, not knowing what to do, until a passer by stopped in her car and gave mouth to mouth and CPR until the emergency services arrived. Keith survived, and was re-united with his rescuer, Joanna Michaelides, about 6 months later. They were both very concerned by the number of people who had no idea how to help - which was extremely traumatic for some of them. 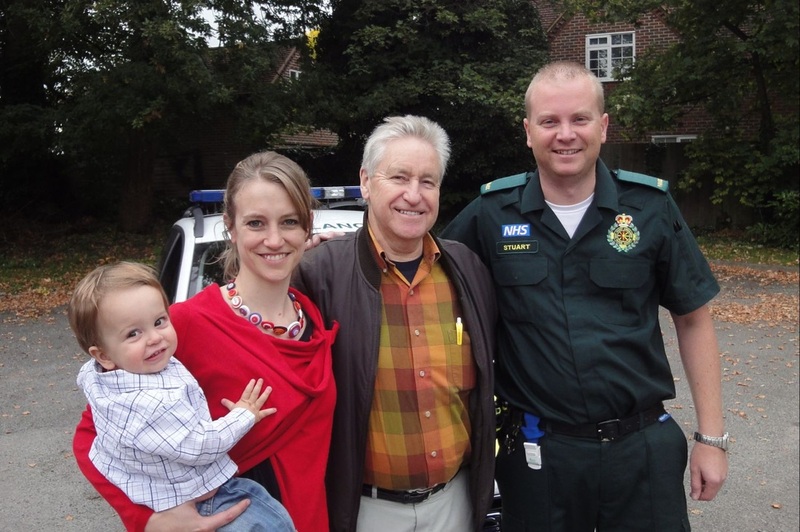 They resolved to help their wider community learn the simple skills that saved Keith, and with help from the South East Coast Ambulance Service (SECAmb), the Farnham Lions and the local branch of the St John Ambulance, they formed one of the BHF's Heartstart groups. Since then, the team have grown from 6 to 9 and have trained over 1000 people at their twice-monthly courses, held in the local SJA Hall. They also run an emergency life support drop-in tent at the Farnham carnival and support SECAmb when they deliver an annual CPR day at St Peter's school in Farnham. Heartstart Farnham Lions also aim to raise awareness of the role defibrillators play in a successful resus, and help the wider community learn about what they are and how to use them. The team have helped with the installation of 10 public access defibrillators in the Farnham area, with plans for more! Since the scheme started, two members of the team have themselves saved lives. Barbara gave CPR to her ex-husband when he had a cardiac arrest in 2013 and Tom gave one of our trainees back blows when she choked on a sweet - in a training session! We have also been proud to learn that one of our trainees, Gulfer Budden, was able to save her son's life this summer when he choked and stopped breathing while on holiday. Simple skills can and do save lives, every day, for all manner of people. Book yourself on a course - it could happen to you!